Could one drug effectively treat incurable inflammatory diseases such as Crohn’s disease, ulcerative colitis, rheumatoid arthritis and multiple sclerosis as well as neurodegenerative maladies such as Alzheimer’s disease? Yes, says Prof. David Naor, speaking with ISRAEL21c at the Lautenberg Center for General and Tumor Immunology in Hebrew University-Hadassah Medical School, Jerusalem. All these diseases, he explains, are associated with pathological amyloid proteins that could be neutralized by the 5-mer peptide Naor has spent the last 10 years researching and developing with the support of the university’s Yissum technology-transfer company, the Israeli government and Spherium Biomed of Spain. Naor began by studying 5-mer’s effectiveness in rheumatoid arthritis, which affects about one percent of the world population. Currently, about $30 billion worth of biologic drugs are sold each year that effectively control, but cannot cure, rheumatoid arthritis and other inflammatory diseases. Furthermore, these drugs don’t work in one-third of patients. The results of Naor’s experiments were astounding. When mice with collagen-induced arthritis were treated with 5-mer peptide, the severely inflamed tissues in their joints reverted to nearly normal. No harmful side effects were observed. “Once the rheumatoid arthritis experiment was repeated successfully several times, we looked at a different chronic inflammatory disease – multiple sclerosis, where the inflammation is not in the joints but in the brain,” says Naor. Multiple sclerosis (MS) is the most widespread disabling neurological condition of young adults around the world, usually striking between the ages of 20 and 50. There is no cure, but the Israeli-developed blockbuster drug Copaxone reduces the frequency of relapses. Here, too, Naor’s results were noteworthy. Five days after MS-like disease was induced in mice, 5-mer peptide injections caused a significant decrease in accumulation of inflammatory cells in the central nervous system and significant reduction in limb paralysis. The effects were weaker when the disease was more progressed, but theoretically the peptide could be introduced during a remission phase of MS. Recently, in collaboration with Prof. Haim Ovadia from Hadassah University Medical Center, Naor’s lab achieved another breakthrough by delivering 5-mer peptide via mouth rather than by injections, with the same therapeutic effect. “That means that we may be able to produce pills for oral delivery rather than to provide the drug by injection,” Naor says. Spherium Biomed tests of 5-mer peptide in mouse models of inflammatory bowel diseases (IBD) showed it can reduce the gut inflammation in IBD better than the currently prescribed biological medication, which is effective only in half of IBD patients. After a quarter-century of failed efforts to develop a cure for Alzheimer’s disease, investment money is dwindling. Yet the number of cases is climbing rapidly along with related costs. About one in nine Americans over 65 has this fatal degenerative neurological disorder affecting 44 million people worldwide. In collaboration with Prof. Hanna Rosenmann from Hadassah, Naor’s lab studied the effect of mer-5 peptide in mice with induced Alzheimer’s disease. Cognitively normal mice placed inside a watery maze learned quickly how to swim to a safe platform and were able to find it faster with every subsequent attempt. But the Alzheimer’s mice took longer finding the platform every time, due to memory difficulties. After treatment with 5-mer peptide, the Alzheimer’s mice regained their ability to learn the location of the platform as quickly as cognitively normal mice. “We can restore the memory of the animal. 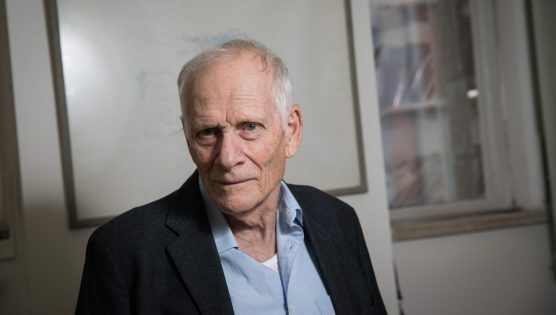 This doesn’t mean we’re going to cure Alzheimer’s but it does mean we have to do everything possible to see if our peptide could be successful where so many other potential anti-Alzheimer drugs have failed,” says Naor. The 5-mer peptide appears to prevent the accumulation of amyloid–beta in the brain. Amyloid–beta clumps are believed to attract harmful inflammatory cells from the immune system, thus enhancing Alzheimer’s disease. The mechanism of action of the 5-mer peptide was proven on various harmful amyloid proteins, using sophisticated imaging tools in the lab of Prof. Mary Cowman at New York University. Spherium Biomed now seeks funding for the next step, human clinical trials. “Because the peptide was derived from human material, it makes sense that it is going to work in humans at least as well as in mice,” concludes Naor.